Use this Microwave Motion Sensor for increased energy savings and customized detection range, daylight threshold, timer, and dimming (1-10V) settings. 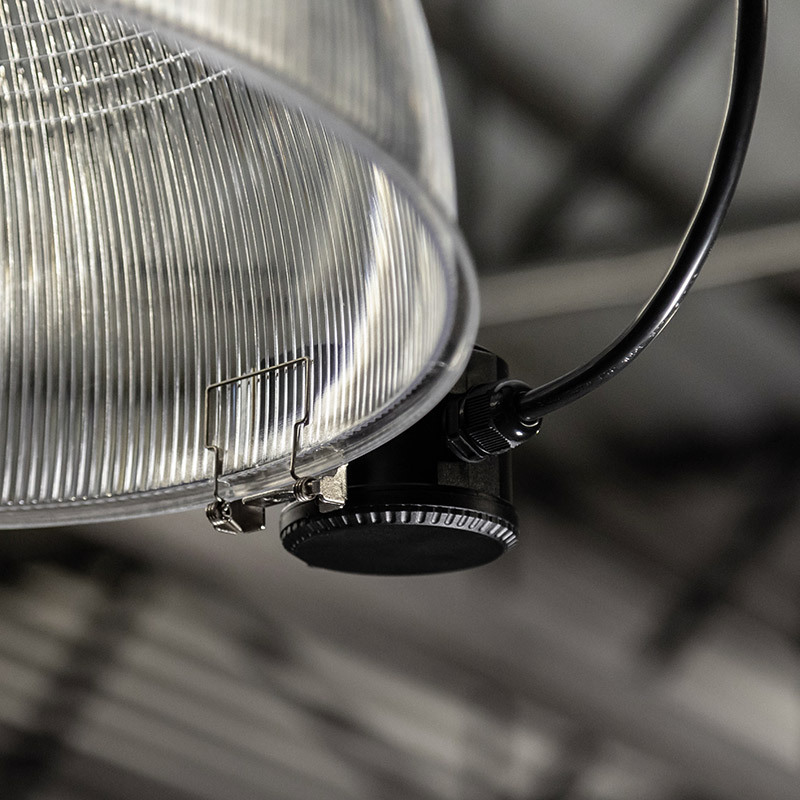 Easily mount the black sensor on high-bay reflectors. The sensor works with lights that are installed up to 49' high. Motion can be detected from up to a 26' radius. 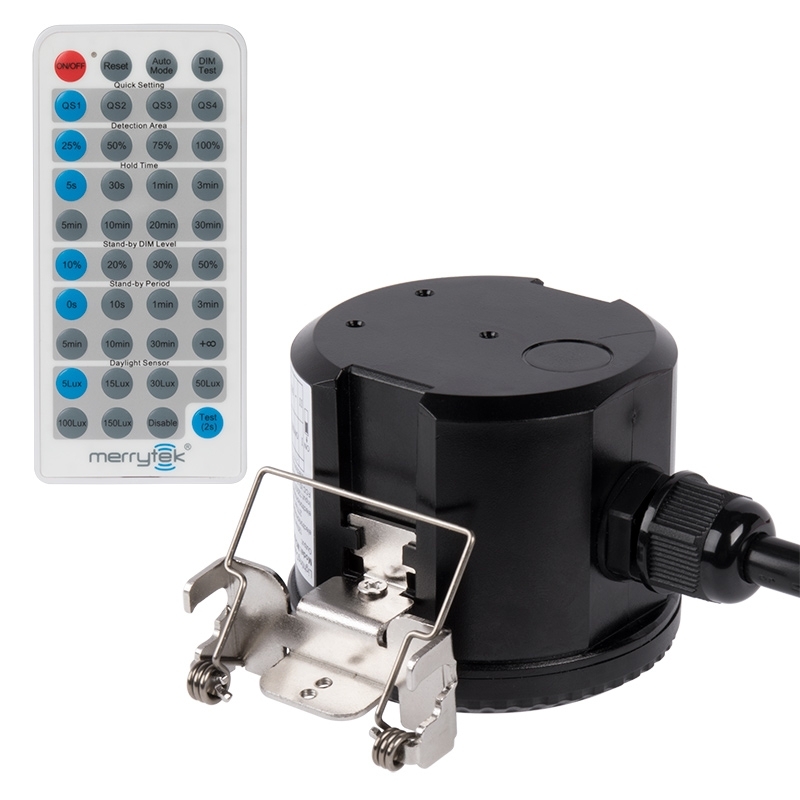 Use the sensor's DIP switches or the optional handheld remote to customize settings. 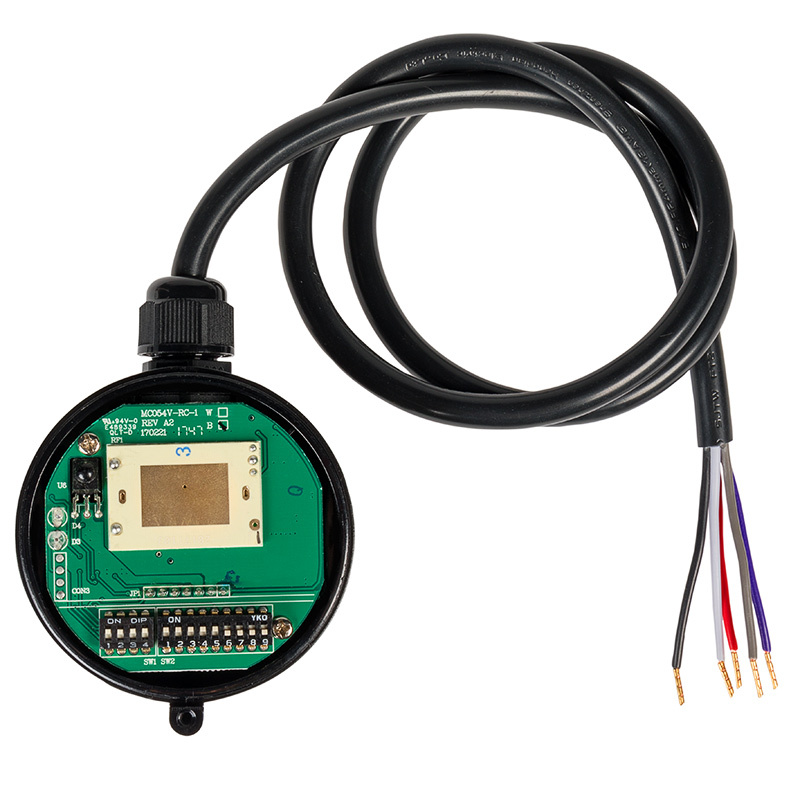 The sensor operates on 120-277 VAC and can handle up to 480 watts at 120V or 831 watts at 277V. 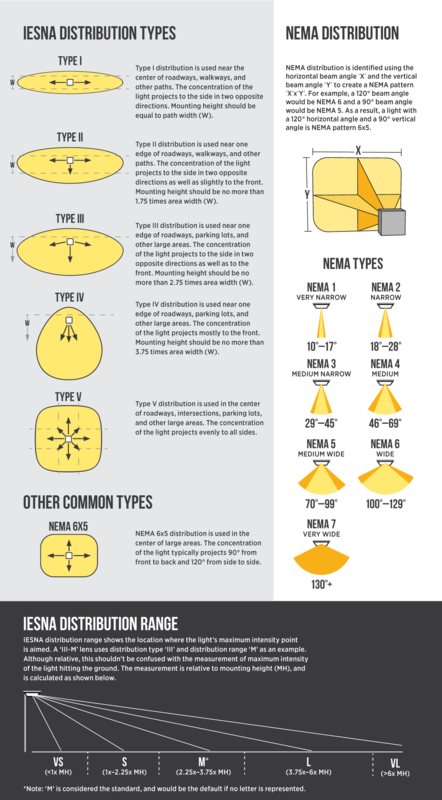 See the sensor manual for a more detailed explanation of specs and DIP switch functions.